When Pastoral Carer Jan Murray walks into a room and the resident’s face lights up, she knows her role is making a difference. Jan has worked as a Pastoral Carer at Courtlands Village in North Parramatta since Christadelphian Aged Care purchased the Home in May this year. “My main role as I see it is to support residents and their families in any way I can, be that spiritual, emotional, physical or any other way,” she said. Jan previously worked at Mt Druitt Palliative Care Hospital, and elsewhere assisting people with intellectual disabilities. She has completed a 12 month pastoral care course, and has been interested in the area for around 10 years. Courtlands Village never had Pastoral Care in the Home before, so naturally some residents and families were sceptical about what the program entailed. But in only a few months she has built up trust and formed strong relationships. “I think it’s made an impact already. 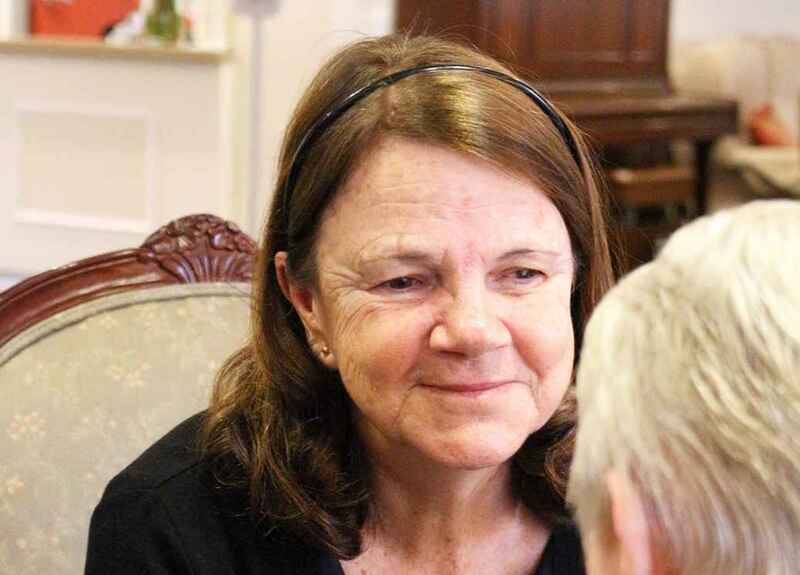 Pastoral care is about support, care and compassion, and it can be as spiritual as you want or not want it to be,” Jan said. Jan works mostly with residents with high needs in The Vista, The Grove and The Grange within the Village. “Most residents here are very fortunate to have a lot family involved, but there are a few who don’t have visitors very often at all. These are the people I concentrate on and spend the most time with,” she said. A lot of people like to talk about their lives and their past, and mostly reflect on good memories they have of their family. Jan also supports palliative care residents to help make their final time peaceful and dignified. “It’s like walking on their final journey with them, and that a privilege,” she said. Jan forms strong bonds with the residents, and always feels so fulfilled when she knows her presence brings comfort and is appreciated by residents and families. She remembers one resident in particular who had a great sense of humour no matter how she was feeling. “She made me laugh every time I saw her. She would hold my hand and say ‘I’m so thankful you’re here. You have no idea how much I look forward to you walking through that door everyday’,” Jan said.